The development of Oskar Schlemmer’s artistic career paralleled that of the Bauhaus. He taught drawing from life at the school, a discipline that was considered indispensable despite its members’ rejection of academicism of any kind. Schlemmer wrote in his diary that he was teaching his students to create idealised images of man, which had to “turn towards metaphysical spaces, metaphysical perspectives, the metaphysical figure [...] Men outlined, not men differentiated.” Towards 1926, the year the present work belonging to the Museo Thyssen-Bornemisza is dated, Schlemmer incorporated into his teachings of drawing from life notions of bodily proportions and philosophical and psychological aspects of the human being. Formation. 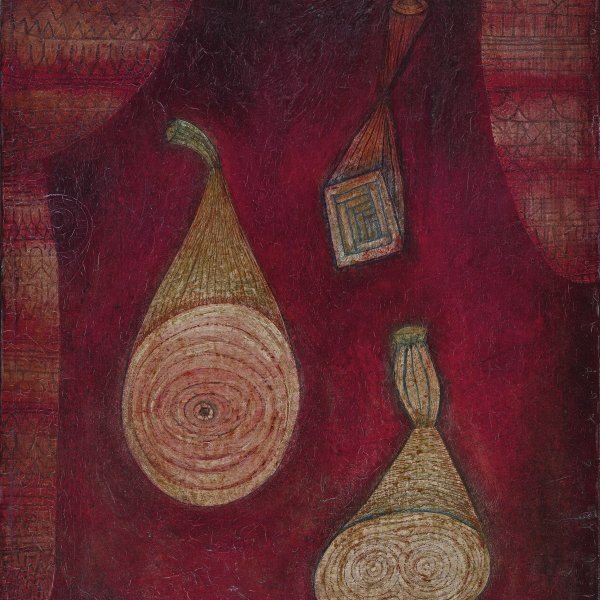 Tri-partition is one of a set of eight watercolours executed between 1925 and 1931 in connection with his painting Tri-partition, dated between 1925 and 1928, belonging to a private collection. For a time the watercolour in the Thyssen-Bornemisza Collection was dated to 1929, but when it became known that it had been shown in an exhibition in Dresden in May 1926, Karin von Maur rectified the date. 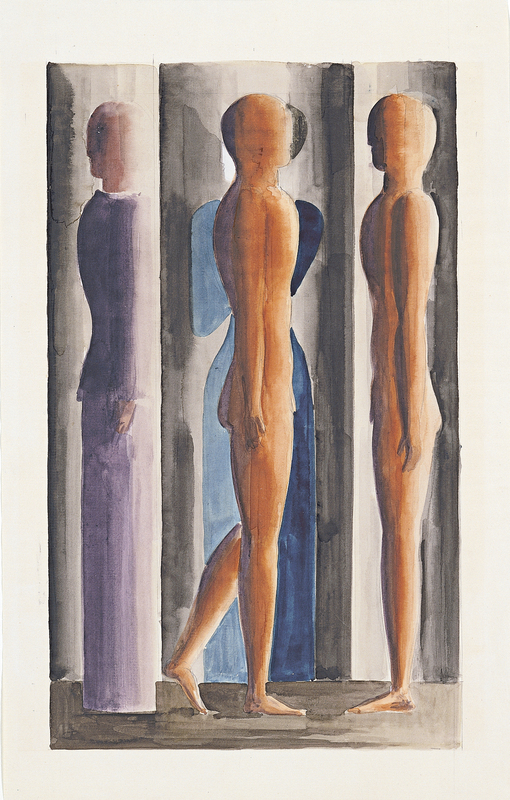 In this suite of works Schlemmer, a convinced devotee of esotericism, establishes a set of symbols based on the number three, as in his Triadic Ballet (Das Triadische Ballet) of 1921, in which he creates the same type of symbolic play through three dancers and three musical movements. The artist aspired to transfer to the scene the new concepts of man’s relationship with space, based on a geometric analysis of bodily forms and movements in space. This ambitious work became a paradigmatic example of the new ballet as an all-embracing art through the fusion of dance, costume design and music.